A few weeks ago Airports Council International (ACI) made their calculations and information updates about the world‘s busiest passenger airports in 2015. With the updated traffic results of the world’s biggest hubs it will be our pleasure to reveal TOP 12 busiest airports for passenger traffic in 2015. 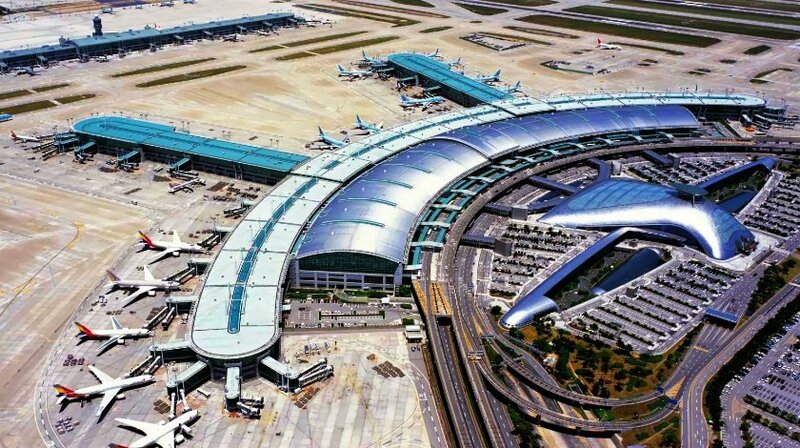 The definition of world’s busiest airport has been designated by the Airports Council International in Geneva, Switzerland. Traffic movements: landings and take-offs of aircraft. The world’s busiest airports by passenger traffic are measured by total passengers, defined as passengers enplaned plus passengers deplaned plus direct-transit passengers. Hartsfield–Jackson Atlanta International Airport has been the world’s busiest airport every year since 2000. As we can see from the list, airport in Atlanta has guarded its position as the busiest gateway on the earth after welcoming 101.5 million passengers in 2015 with the change of 5.5 %. US gateway in Atlanta became the first airport in the globe to break the 100 million passengers per annum achievement. Sixth consecutive year in the second place belongs to Beijing Capital International Airport, with 4.4% increase in numbers as it accommodated 89.9 million passengers in 2015. Third place goes to Dubai International Airport, which is the biggest climber in the TOP 12. It moved from sixth to third place with the 10.7% rise that resulted in 78 million passengers passing through its facilities last year. At number 4 we find Chicago O’Hare. It is important to mention that this airport was the busiest in the world until the Hartsfield-Jackson took the title in 1998. However, 2015 was a rebirth for O’Hare with 76.9 million passengers (+9.8%) to rise from seventh to fourth position. Tokyo Haneda is in the fifth place. Despite a 3.6% rise in traffic, the Japanese hub drops to the fifth place on the basis of the 75.4 million passengers. The reason of this change are good results in Dubai and Chicago. 2015 was not the best year for the aviation giants like – London Heathrow and Los Angeles International Airport. They both faced the drop in ranks this year, even though they both enjoyed record breaking year. Now we can see London Heathrow as number 6 with all-time high of 74.95 million passengers and Los Angeles at the seventh place with 74.93 million passengers. Hong Kong International Airport switched places with Paris Charles De Gaulle Airport – second busiest gateway in European continent. So the eight place goes for Hong Kong with 68.5 million handled (+8.1%) in 2015, and Paris CDG drops to the ninth with the total of 65.7 million passengers (+3.1%). Dallas/Fort Worth International Airport is enjoying the 10th place in this TOP with 64.1 million passengers (+2%) facing its terminals in the last twelve months. Eleventh place on this list goes to Istanbul Atatürk Airport. Turkish hub this year handled around 61.8 million passengers and became third busiest passenger entryway in Europe, after London Heathrow and Paris CDG. Rounding off the TOP 12 is Frankfurt Airport, which holds on to the final place with a bit more than 61 million passengers (+2%) who tried its services. The German historical aviation hub and motherland of the world‘s first airline lost its 11th place from 2014 and is now trying to attract more passengers than the Turkish one.